Marmaris is one of the busiest resort towns in Turkey. After being content with the bustling nightlife, entertainment at the clubs, bars and the beach front, shopping and walking around the busy town; you can head towards nature! 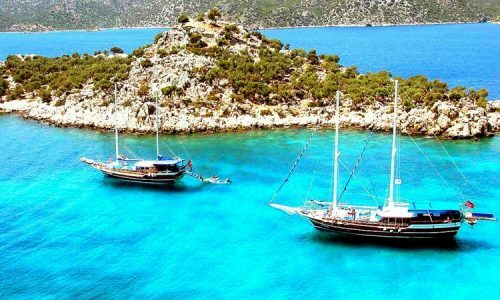 Marmaris Nature Tours are excellent opportunities to move away from the busy urban life and search for solace in nature. Explore nature, seek adventure and rediscover yourself on these very distinct nature tours. 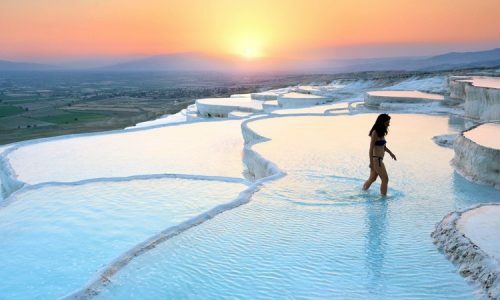 Our Marmaris Pamukkale Tour offers you an exciting opportunity to visit one of the Seven Natural Wonders of the World. This UNESCO World Heritage Site has serene natural surroundings along with huge calcite formations, hot water springs and historical sites of Hierapolis, Necropolis and the Cleopatra’s Pool. Our Marmaris Semi Submarine Tour is arranged in a specially designed boat that lets you see the world underwater without getting wet! 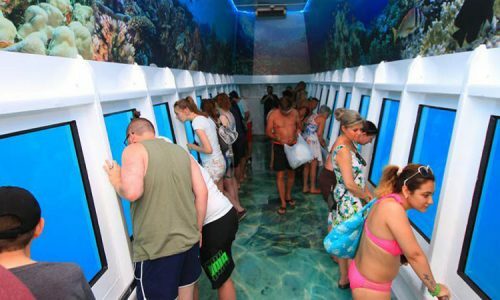 You will be mesmerized to see the fascinating colors of the flora and fauna underwater. Our Marmaris Diving Tours are for those who dare to leap into the sea and get a glimpse of the underwater world from a close quarter. 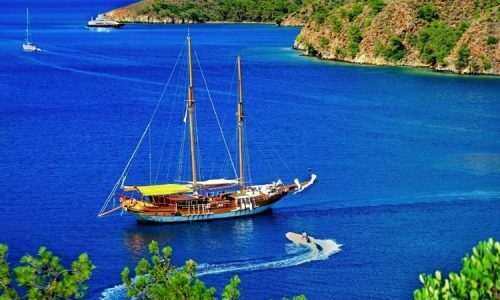 The Marmaris Boat Tour is an all-inclusive trip sailing over the crystal clear waters of the Mediterranean. Enjoy one of the best boat trips of your life on this unique all-inclusive tour. This tour is very special as there is an opportunity for both on adventure and relaxation onboard. Similarly, our Aegean Islands Boat Trip gives you a glimpse of stunning nature among the islands of the Aegean Sea. 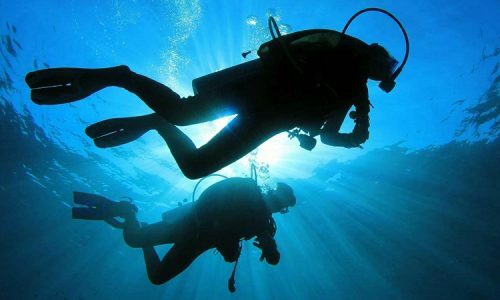 Marmaris Diving Tour is also arranged around some of the most sought after diving points by the town. Some of our Marmaris Nature Tours are arranged on the outskirts of the town. 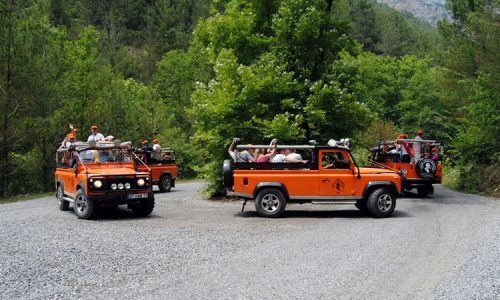 The Marmaris Jeep Safari and the Quad Safari venues are within 15 km from Marmaris. 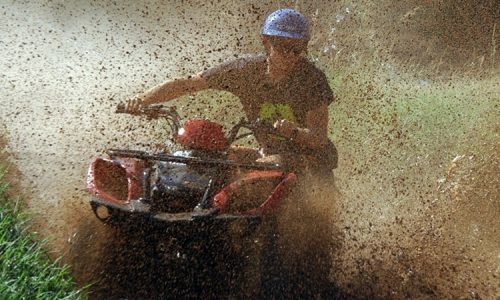 These tours run through the pristine countryside with rough terrain, over the muddy paths among the pine forests and orange groves, and across the water springs. 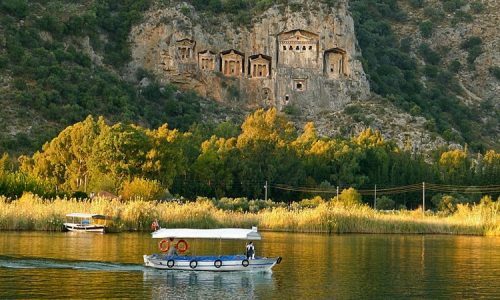 Our Marmaris Dalyan Tour offers you a unique experience of traveling both on land, the river and the sea. On this daylong tour, you will visit the ancient rock tombs of Lycia, take a mud bath and visit the conservation site of the loggerhead turtles at the Turtle Beach.